UPDATE: Unfortunately, after many years Expressions Studios are now closed & to be turned into Apartments. 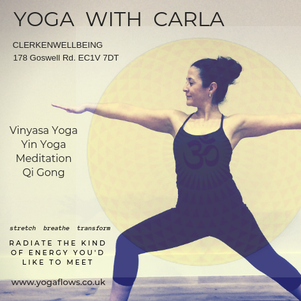 The final x6 weekly Yoga Flows classes @ Expressions Studios have now ended. Please find New Class Locations as above. 121, Private Groups & Work Place Yoga Classes are also held during the week. Please go to PRIVATE & WORK GROUPS TAB for further information; contact Carla to Book, discuss any specific objectives You or Your Private Group may have.